Everyone who knows me is aware of my absolute love for zombies. If there's anything that I love more than zombies - it's fragging the ever-living hell out of them with an array of weapons that would impress even the most violent-minded among us. 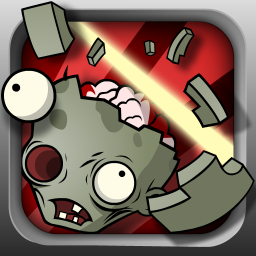 It's not very often that I get the opportunity to do such a thing, but Biofrenzy: Frag The Zombies brings that exact experience to my handheld. 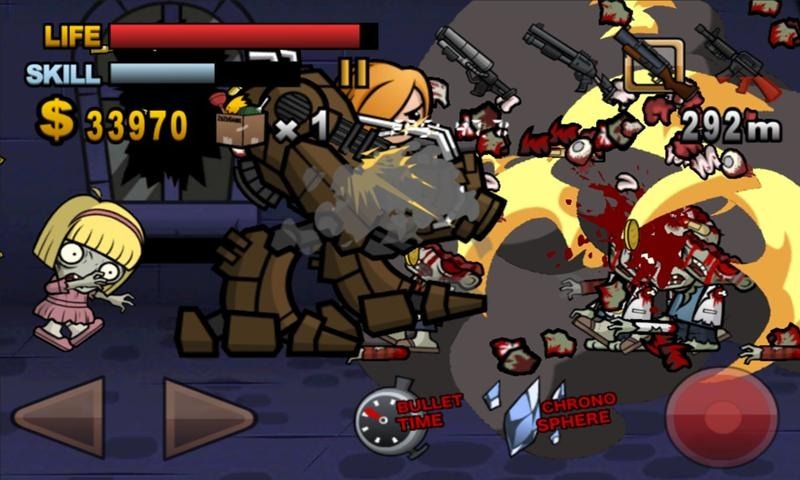 Biofrenzy is a 2D sidescroller where you fight for your life against a seemingly endless hoard of flesh devouring bio-infected freaks - but not without a massive arsenal at your disposal. 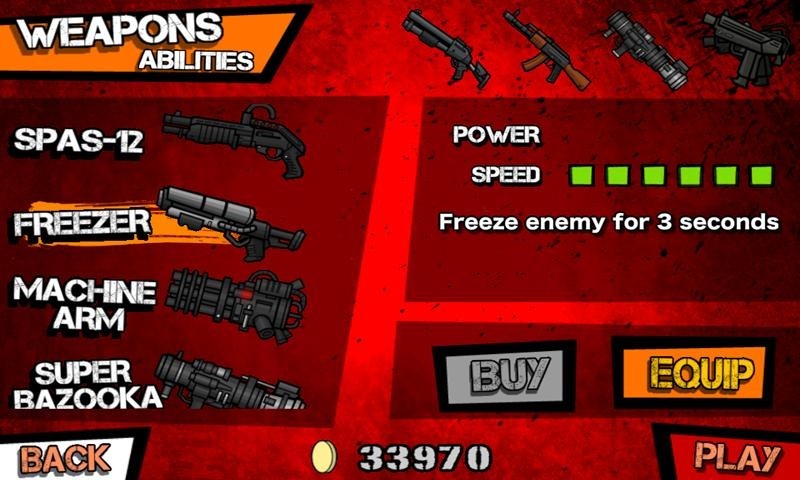 You have an inventory of over 20 weapons ready to help you achieve pure annihilation: everything from chainsaws to shotguns, grenades, and more. You can equip up to four weapons at one time to bathe the town in the blood of your genetically altered enemies - a feature that I have never experienced before. Even though the game is quite cartoon-ish in appearance, it utilizes real-time physics, so when you sever-the-spine-or-remove-the-brain, you get the full-on effect. 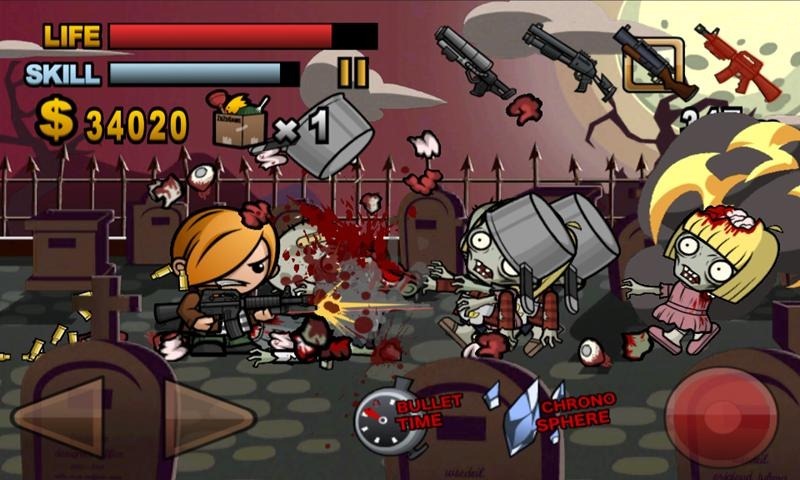 It also offers three different difficulty levels, multiple upgrades, awesome skills and specials, and in-depth gameplay. If you're all about ripping apart some zombies, I suggest you hit the Android Market and drop the one-dollar asking price on this one.